I fail to see why counsel for the grandmother’s is not revising his arguments and relying upon genocide and old court rulings that cannot even be verified; especially when the common law of Aboriginal Property and civil originated in a case orchestrated by Ontario and Canada: The St Catharines Milling Company vs Canada JCPC 1888. This case contained no real dispute, as both Ontario and Canada maintained the same position; being that the rights of the Indians to property are non existent, and su ject to the Mercy and Goodwill of the Crown. Every case to date can be linked to that case. There are 2 notable cases that were decided prior to St Catharines, both sound and properly decided. Yet, the court of first instance was presided over by Judge Boyd, who received huge amounts of money to go along with the plan to diminish Aboriginal rights. Not only did he turn a blind eye that those most affected had a legal right to be present, yet weren’t. To accomplish creating an authority the Crown could use to it’s advantage, it illegally disobeyed a long standing law that only English Law is to be used in resolving disputes in relation to property and civil rights. It accepted and applied American Jurisprudence stating that the US SC had thoroughly dealt with the issue. This alone is sufficient to appeal the case, and would mean that every case since then would be appealablehe as well. No matter how much a pie is sweetened, if a rotten apple was used in the beginning, nothing but a a source pie can be achieved. In 1867, the QCSC heard and decided the case of Connolly vs Woolrich. The case was favorably noted and declares sound by her Majesty’s own Privy Council. The case upheld that the customary laws of the original inhabitants could not be altered or modified by either Britain nor Canada; which falls perfectly in line with the case Campbell v Hall 1774, which pronounced the principles that apply during changes of soverignity, especially since English Law came I to affect via reception, not conquest. 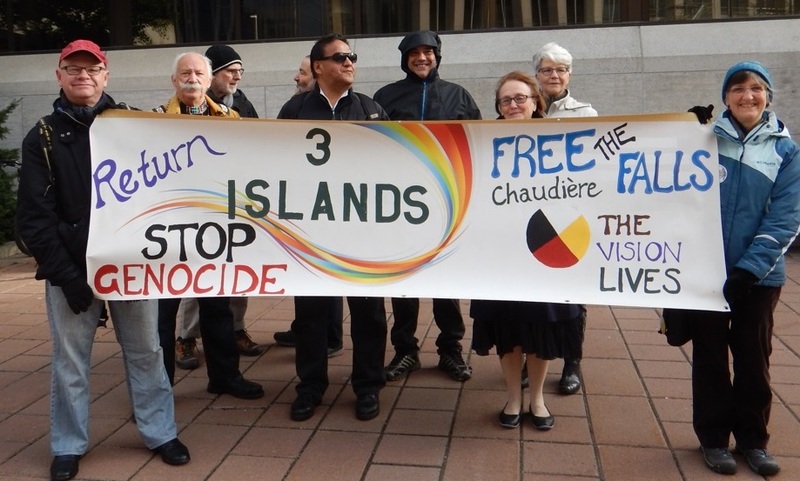 True justice will require discarding the current common law of Aboriginal Rights in Canada. Yet, these lawyers aren’t there to win, but to drag this GS along and make lots of money. A true abuse was committed y the legislators, exe utives, and Judiciary.